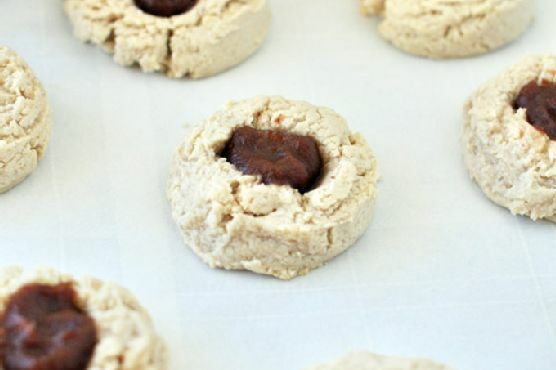 .Use your thumb to press a hole into the middle of each cookie.Fill the holes with a dollop of apple butter. Let cool before handling.These should last at least 2 weeks in the fridge or longer in the freezer. Enjoy!! Thumbprint Cookie on the menu? Try pairing with Cream Sherry, Madeira, and Moscato d'Asti. A common wine pairing rule is to make sure your wine is sweeter than your food. Delicate desserts go well with Moscato d'Asti, nutty desserts with cream sherry, and caramel or chocolate desserts pair well with port.